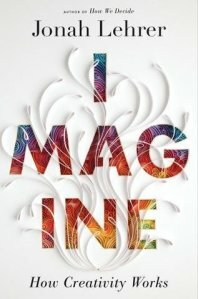 I’m so excited about reading Jonah Lehrer’s new book Imagine: How Creativity Works (my favorite science writer on my favorite topic) that I plan to post a series of short pieces on ideas I glean from it. Every creative journey begins with a problem. It starts with a feeling of frustration, the dull ache of not being able to find the answer. We have worked hard, but we’ve hit the wall. We have no idea what to do next. When we tell one another stories about creativity, we tend to leave out this phase of the creative process. We neglect to mention those days when we wanted to quit, when we believed that our problems were impossible to solve. Because such failures contradict the romantic version of events — there is nothing triumphant about a false start — we forget all about them…. The danger of telling this narrative is that the feeling of frustration — the act of being stumped — is an essential part of the creative process. Lehrer goes on to make a convincing case that the very feeling of getting nowhere is a signal to the brain to try another mode of problem-solving: the underground, barely sensed, beautifully powerful process of insight. The brain shifts away from the analytical, left-hemisphere mode that we’re taught is the proper way to approach a problem. The solving moves to the holistic, big-picture right hemisphere. The anterior superior temporal gyrus, just over the right ear, becomes active; its specialty seems to be making unusual connections. A burst of gamma waves, a sudden sense of illumination, and aha! The answer arrives. That’s probably my favorite moment in life. The solution seems obvious — a given, in more ways than one. We don’t have the sense of “I thought that up”; it more like something was handed to us, unearned. Perhaps that’s why we’re a little suspicious of our own creativity: we’re taught that hard work is the only respectable way to achieve. And Lehrer makes the point that hard work is definitely part of the full creative process — more on that in later posts. 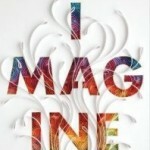 But let’s never discount the beautiful way our creativity transforms frustration into solutions. And let’s honor the sense of hitting a brick wall. It’s cuing the brain to try a better way.